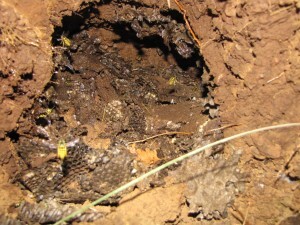 Can you believe the size of this yellowjacket nest!!? This poor unsuspecting customer on Ted’s route in Auburn, CA was mowing his lawn and came across this nest. The opening was only about the size of a quarter, but ended up being a massive nest underground! This is one of the big differences between yellowjackets and wasps. 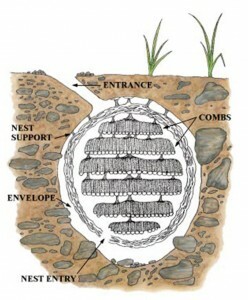 Although many wasps look like yellowjackets because of their yellow and black coloring, yellowjackets often build their nests underground which look much like the drawing below illustrates. The queen starts building the nest in early spring, and by late summer and early fall, the colony is at its peak. As winter progresses and temperatures become colder, the workers will die but the queen overwinters and will start a new colony in the spring. We haven’t had cold enough temperatures in Auburn, CA yet to kill off the workers, so please be aware and be careful! 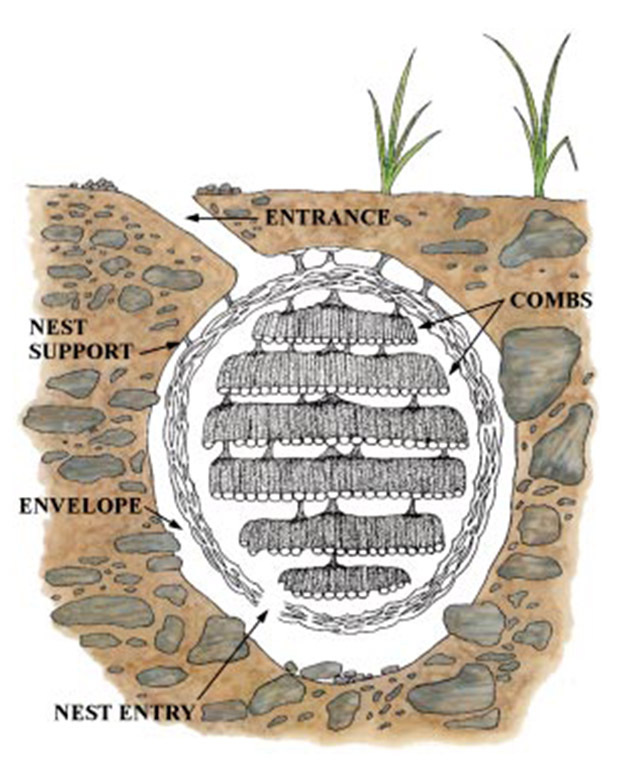 A large colony like this can be very dangerous, so never try to kill a nest without the proper protection and tools to do the job safely. Call us and we’ll take care of it professionally.